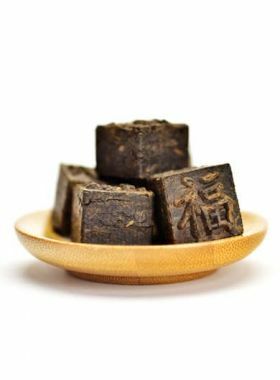 Small and exquisite Pu-erh cake, slightly loose on the edge, many golden or reddish brown tea buds on the surface and inside of the cake. 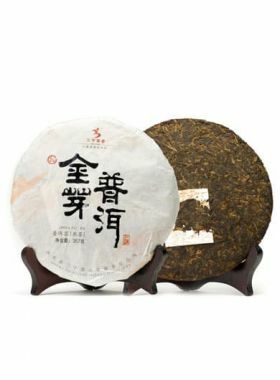 A kind of palace grade ripened Pu-erh cake weights only about 200g, which is suitable for new tea beginners to try. 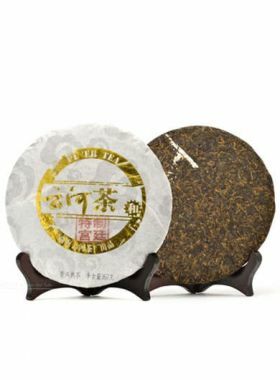 Our previous Golden Buds Tribute Ripened Pu-erh Cake turned out to be extremely popular among pu-erh tea lovers, but unfortunately remained out of stock for quite a while. We received many requests to restock it, and as such decided to produce a TeaVivre-brand tribute-quality ripened pu-erh 200g cake. To do this, Angel contacted pu-erh tea factories to find a good source for high-quality loose tea to press into cakes; during this, TeaVivre began to design the packaging, and after about half a year, this new cake was finally finished. 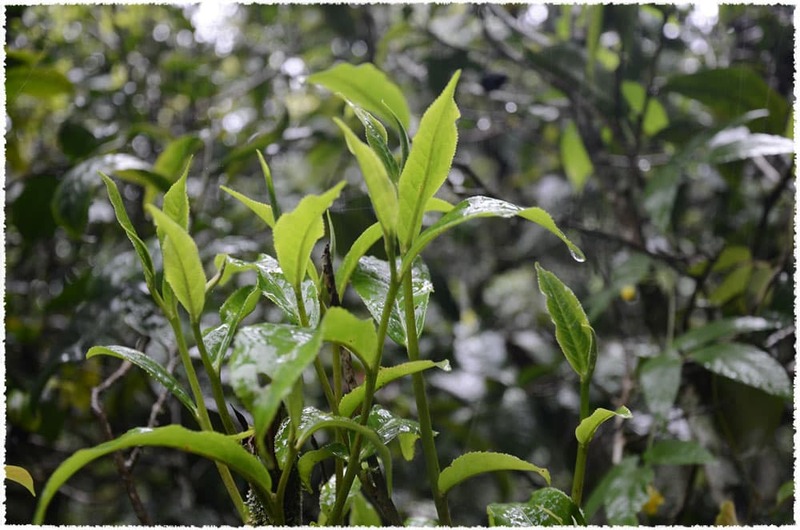 This tea follows the one bud, two leaf picking standard, and was picked during the spring of 2009 from Bulang Mountain large-leaf tea bushes. We sifted the shoot tips (the ‘golden buds’) for the tea after the pile fermentation step; this is what allows us to mark this tea as “palace-grade” for its raw material. In order to ensure and enrich the tea’s taste, in palace-grade pu-erh usually other grades of raw materials are blended in - but this cake in contrast is 100% pure palace-grade raw material, with no additives or substitutes. Pu-erh tea material can be divided into 11 grades, of which “palace-grade” has the most tender leaves and delicate taste; if you are used to strong tea, this one might be too light. 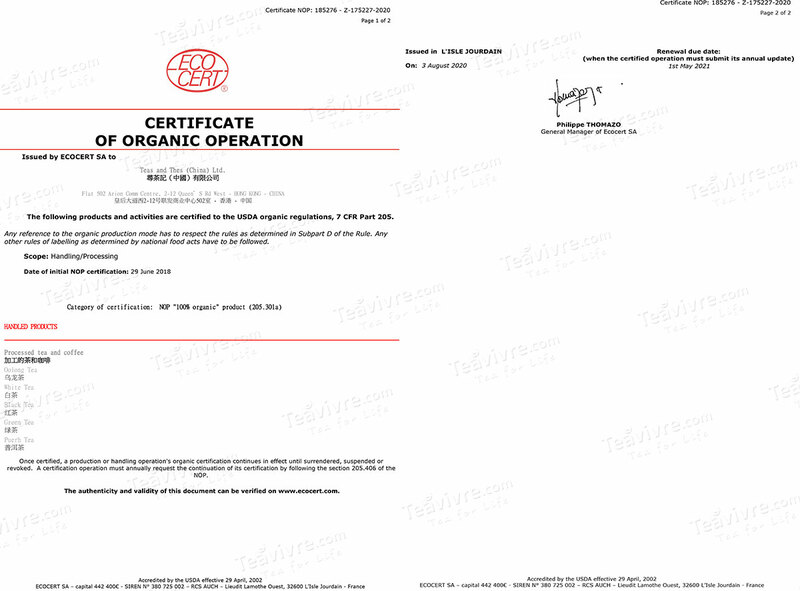 However, this also means that it may be perfect for beginners of pu-erh tea, or those who prefer a lighter taste. 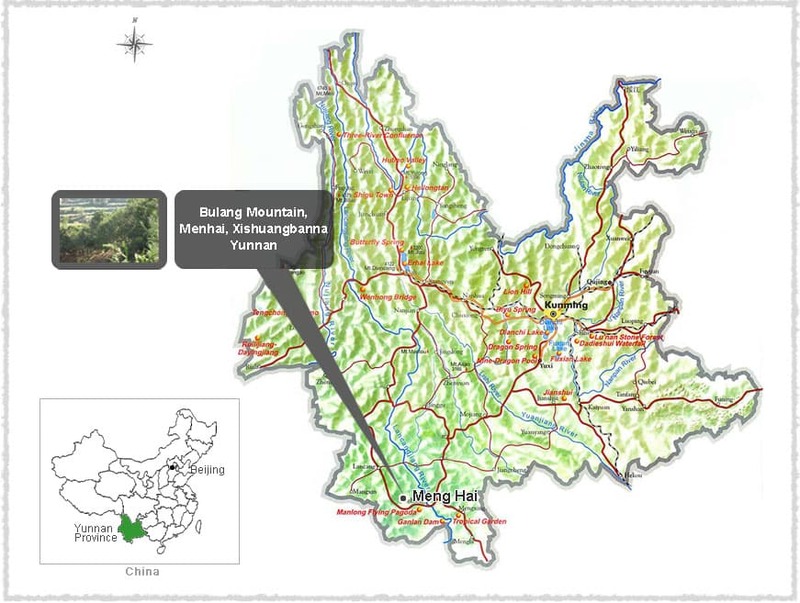 Man Xin Long stockaded village is located in Bulang Shan at an elevation of 1800 meters, surrounded all around by thick forests. The Bulang nationality here migrated to the area over two hundred years ago; the tea trees within the nearby 150mu were planted during that time. 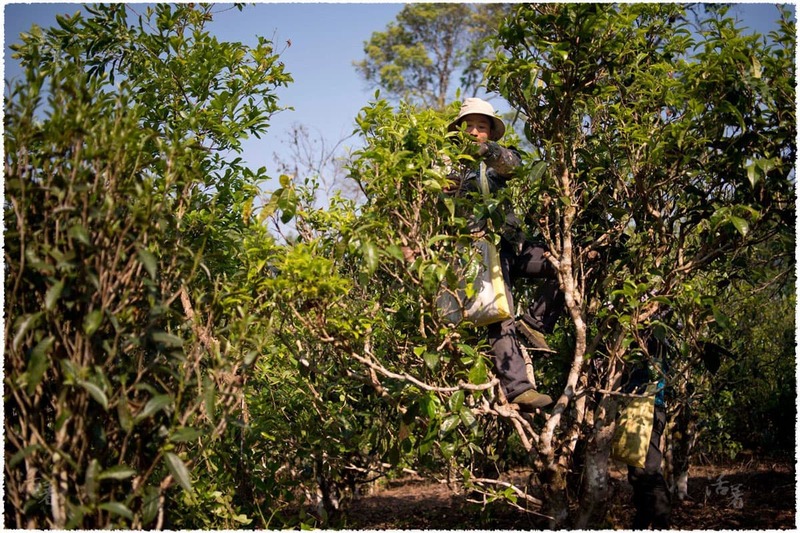 In the tea grove, tea farmers are picking tea leaves on the high tea tree. 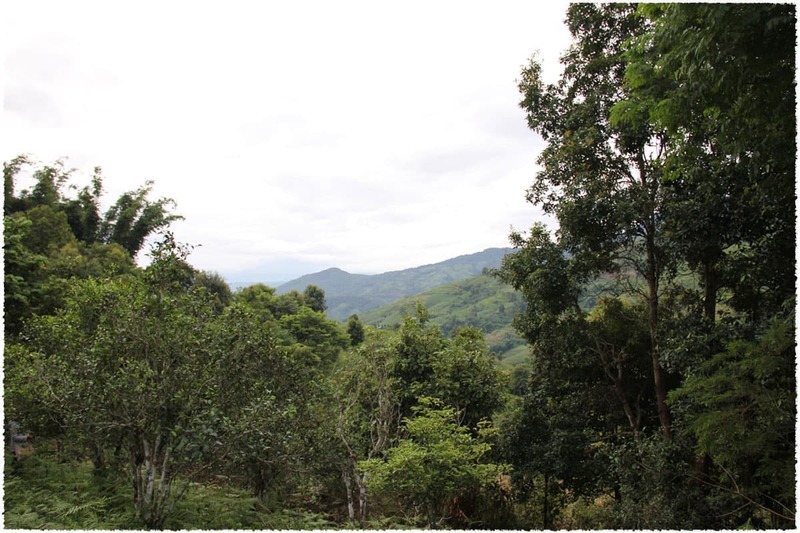 Bulang Mountain in Menghai County of Xishuangbanna, Yunnan, is a famous pu-erh production area with the highest abundance of ancient tea trees within 100,000 hectares. The mountain rolls and stretches throughout Menghai, with deep valleys cutting through hills. The average elevation here reaches over 1200 meters, while the tall Sanduo Peak stretches up to around 2100 meters; standing there will give you a clear view of the entire mountain. The surrounding area experiences good sunlight and abundant rainfall, being of the subtropical monsoon climate, and a remarkably short frost season. During the spring and winter, a thick, heavy fog lies around the area, while summer and autumn are most often overcast and rainy. Native to Menghai County, Xishuangbanna, the Menghai large-leaf tea tree spaces was rated as the most improved national tea variety in 1984. It has the ability to grow up to 7m tall in the wild, with bold green leaves that are much larger than more common varieties. The buds of this species are most often yellow-green, and coated in fine fuzz. The leaves of this tree are high in phytochemicals: one tea bud with two leaves contains 2.3% amino acids, 32.8% polyphenolic compounds, 4.1% caffeine, and 18.2% catechinic acid. As a result, pu-erh tea made from the Menghai species is high quality and rich in flavor, with a soft taste and full-bodied essence.